There’s a lot marketing professionals can learn from gaming as it is right now. Gamification, as an ideal, seems to apply to business planning the most – and I’ve heard it discussed around the longer, broader process of enterprise growth… But a few of the less-obvious ideals, especially from fast-paced games, apply to marketing strategy as if tailor made for it. In particular, the idea of a “meta game” surrounding an existing game’s play and development strategy. In gaming, particularly in eSports, “the meta game” describes prevalent strategies, expectations, and often becomes the minimum viable method of play for a given game. In most modern online games – and even in a number of offline or solo play titles – these strategies grow and change effectively on the pace of the publisher’s content release cycle. As game development and play go on, the understanding of what each tool within the game can be used for, what’s most efficient, and what works under what circumstances. Changes are made, in response to this understanding, as well as to accommodate for new content such as additional features, characters, items, encounters, and so on. In some cases, “the state of the game” is much more volatile than others. It’s easy to pick out a few central genres that benefit from growing metas; MMOs like World of Warcraft and Final Fantasy XIV (which I play regularly) release content at scheduled intervals, which increase the potential of the player character, add new instances or raids to complete, and provide new tools either in the form of items or new abilities. However, MOBA (Multiplayer Online Battle Arena) games, such as DOTA 2, League of Legends, Smite and – recently – Heroes of the Storm, tend to have a much more visible meta game surrounding their play due to a number of factors. Huge game populations outside the professional circles also provide an enormous amount of data from which to draw balancing information. Basically, the meta moves faster where there’s more visibility, in part because broadcasting benefits from never showing the same game happen twice. Constant balance-and-rebalance efforts from the publisher ensure no one plays the same game in a tournament twice. To understand the meta game, understand “balance” as applies to games. “Balance” is an ideal that developers strive for in any situation where multiple options exist for play. Whether that’s a broad range of characters a player can choose to use, larger libraries of items they can acquire to make those characters stronger as games go on, different abilities and other meta data that can be applied to a character before the game begins – or during… There’s a lot of flux possible, and even when players understand what works “best” for their purposes, the ability of the best participants to react to their opponents’ virtual curve balls is still an issue. The meta itself must change, that’s the nature of it. As understanding is created about what’s strong, what’s weak, and what works in general – at every angle – the developers make changes to adjust for those strengths and weaknesses. Portions of the game seen as weak are often augmented, or buffed, to make them viable. Others – seen as over-powered – are nerfed, or reduced in value such that they’re in line with the remaining content as much as possible. Because of this, “balance” is not in any way a destination; it’s absolutely a path. The steps along this path are the individual content releases for the game itself. The meta game is a three-way tug of war. Many gamers hate this “buff-and-nerf” cycle particularly because it creates gaps in their knowledge. There’s a need to constantly iterate through the available data and get to the content on the end of the rope. At some point when a new change happens, someone gets to be the first to try it out, to either do the metrics and statistics against other options to see if those are important, or to actually play test it and come up with inventive ways to react to the changed state of play. These pioneers are important, because they find novel uses for mundane things, and further the understanding of their use for the public. The public – the second group in our tripod – by and large are not innovators, but they do create value for the gaming community. Their involvement – either by way of providing revenue, or promotion of the game itself – is integral to the game publishers’ overall strategy. It’s this larger group who spend the lion’s share of time just acting in the game, either conscious of the meta or unconscious of it. Publishers can collect huge volumes of aggregate data from these behaviours, codify that data, and understand what their work’s been affecting within the broader game. Very often, though, this later creates problems for the developers – who made adjustments aimed at balancing the game. If something unexpected happens, either in a major tournament or off in the far reaches of casual gaming, they need to account for it somehow in a future update. And so the cycle continues. In short, the public pulls from the pros, who pull from developers, who pull from both the pros and the public. With all three legs of the tripod generating and sharing data in one form or another, growth happens fast and effectively. Your industry is in one of these three positions. Period. No matter what your position is. it’s worth trying to understand who’s pulling from you – and who you’re pulling from. Whether it’s tools you use, build, or pioneer the use of – or inspiration and information that you, as a knowledge worker, add value to in order to generate revenue. Understanding where your position is within this tripod is intensely valuable. Should you be the one creating tools? Should you be leading the way – gaining visibility for your industry and your work? Should you be following the lead of industry giants and providing a different value to your clients than they’re capable of? All three of those positions are important for keeping the array propped up. Understanding the meta game isn’t just useful for you, it’s useful for everyone in your organization. I highly suggest you read ESPN’s profile on Faker, a prominent League of Legends player from Korea’s SKT team. The pull-out, right in the middle of the profile, features an insanely insightful comment from Faker – one that’s easy to lose in the hype, biographical text, and imagery surrounding it. Bingo. That’s the other side. The onus is on every player – in LoL, that means five players usually – to understand the metagame, how it applies under the current conditions of play, and act accordingly. Their understanding must be such that they – individually and as a unit can operate as needed to ensure success. There’s a lot of discussion in professional social media circles – from publishers, to consultants, to agencies – about education. Clients need it, businesses need it, the public needs it – but so do the professionals working in these very complex, highly unorganized fields. There’s now very little stringent education directly related to social networking as a business communication tool; while there are plenty of dyed in the wool professionals, the building of a knowledge base accessible through higher education seems slow in catching up. This isn’t even a theory versus practice problem – I think it’s an educational system problem. How can we create education for new kinds of professionals, when education itself is failing? […] even though the real ROI of college over time is well-documented, college completion rates are falling rapidly. 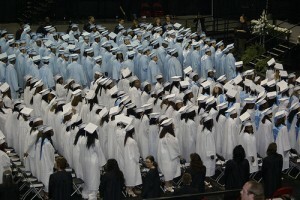 On average, four year public schools graduate only 37% of their students within four years. The story at community colleges, which account for 46% of all undergraduates, is even worse: just 25% of those at 2-year colleges graduate within three years of the time they start. It’s not that it doesn’t mean anything – it’s that it actively means “nothing”. For something to have meaning, you’ve got to be able to use it. Meaning, strictly speaking, applies to what’s done with a thing, or a piece of knowledge. Anything with ‘meaning’ must directly apply to something else. So; a score, made by an algorithm, has no strict meaning until applied. This is as true of Klout as it is of your Twitter follow count, the number of Friends you have on Facebook, or the number of recommendations you get on LinkedIn. Meaning requires application. Sure, according to my Klout profile, I’m a 58. That’s nothing to sneeze at… Or is it? Could it be that, even in this semi-limited, pseudo-meaningless platform, there are some indicators of how a person behaves, how they prefer to communicate, and how you can learn how they do their work so you can better yours? Now, this week’s #usblogs topic is supposed to be about online and offline klout, but I want to focus on a few meaningful uses for the Klout score and it’s associated meta-data first, before we talk at all about offline klout (which is far less well documented, and thus harder to quantify). Offline clout may come later, or may not. Partly because real-space communities have far different parameters to online ones. When I look at a Klout score, I see an aggregate that equates to the curtain behind which hid the Wizard of Oz. 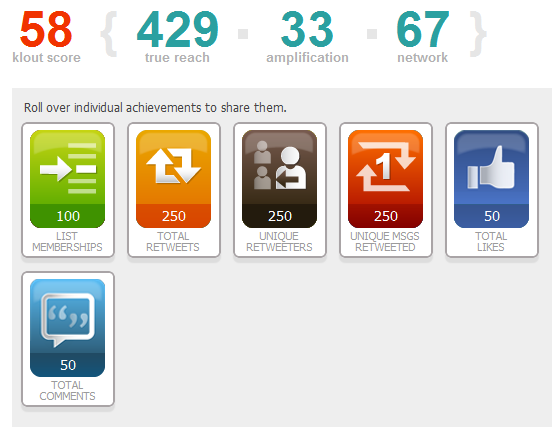 Klout displays a graph of activity to go along with the Score metrics it displays. This is the base range of information that comes beside a Klout score. Most people pay attention to the three numbers beside the Score itself – I almost never do. Under these, the badges, are much more informative regarding a person’s real activity. Number of list memberships, unique retweet count, total retweets, total comments – these show not only the wattage of a person’s activity online, they show the depth and consistency of that activity over time. Yes, these numbers contribute to the aggregate of the Klout score, but the mix of badges you see matches strongly the kind of person you’re looking at. For example, this graph shows an even level of “Total Retweets” and “Unique Retweeters” – this tells me that the individual messages I’m sending are getting some traction among a broad range of people, but that traction has little depth. Based on this graph, and the information relationships within it, I can adjust my actions in the future, if I want to (for example) learn how to create messages that gain depth as well as width of interaction. In this way, my score means nothing, but my profile is a learning tool. 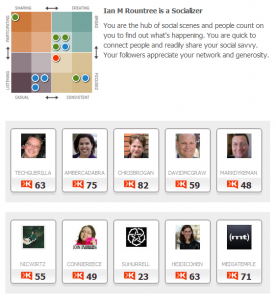 In addition to the activity graph, Klout displays an Influence chart. Take a look at the people on this chart. Do they match who you’d expect to be influencing me? Better still, do they match who you’d expect me to have influenced? I mean – yes, Mark, Chris, Amber and Matt have an effect on me. They legitimately influence me. But David McGraw? Really? An outlier, clearly. Klout believes I’ve influenced my web host, MediaTemple. That interests me. In part because it’s an outlier, like David is. In part, because it’s amusing. It also tells me where on the social chart I fit against my peers. The little orange dot on the graph is me. I’m a socializer. If I got a little more broad in my topics, I’d be a thought leader. I take issue to the idea that thought leadership is measurable on a chart, but these are the terms they’ve chosen to represent people – and by and large, they’re accurate. The Influence chart can be used to give you a sense of what kinds of relationships the person whose profile you’re reading has. Do they interact with highly professional people, or highly social ones? Is there a broad mix of specialties represented, or a wide mix of opinion? Is there a tendency to focus solely on their own area of expertise, and disregard anything else coming into the mix? At the end of the day, what you do with any of this data is what gives it meaning. A 60 Klout twitterati is not automatically more influencial than a 45 Klout socializer – unless pure wattage is all you care about. And, honestly, if all you care about is a bigger megaphone, you’ve lost the social media game already. Keeping focus on what’s important is a good idea when conducting research and analysis, whether you’re doing so before, in the midst of, or after any marketing or business activity. Focusing on the wrong data, like a Klout score alone, can lead to terminal myopia. No matter the numbers you’re looking at, making sure the numbers match the need is important. Do yourself a favour and look beyond that big orange number at the top of the screen. The power to be in many places at once. Perfect memory. The ability to see the future. None of these count for anything without the power to inspire action with just a few phrases, delivered with perfect pitch, modulation, frequency and poignancy. 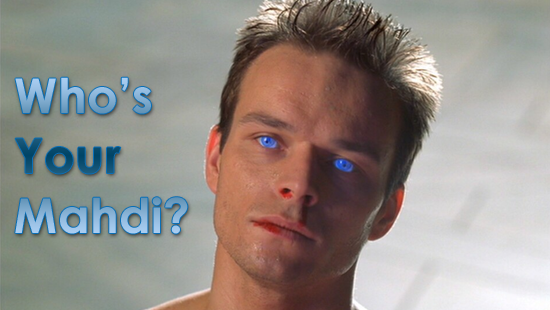 Anyone who knows anything about science fiction will know about Dune. In Dune, Paul Atreides – the heir to a ducal title – is cast out of his place by the betrayal of a lesser Baron (the piggish Harkonen) and goes on a journey of self-discovery, eventually learning that he is the Ultimate Power Embodied – the Kwisatz Haderach! Voice isn’t only about displaying personality, it’s about directive communication. Engagement, or how easy it is to turn a statement into a conversation. HOPE hard enough and you’ll get a certain kind of success – but to be a real master, you need more than hope. All of these things matter, but they’re not the core of The Voice. In Dune, the Voice is an arcana very few are trained in – and the fact that Paul Atreides is trained in even its rudiments is almost heretical. Masters of the Voice have the skills to control anyone they have face-to-face contact with, after just a few minutes of exposure. They must gain this power over each individual person they wish to control, and do so by keen observation of body language, cataloging of reactions to some initial prods, and above all else, listening to the words their subjects use. By this process of pre-communicative observation, practitioners of the Voice can easily understand the motivations, weaknesses – and potential of a subject. So, when she finally does speak, she can use the entirety of subtle inflection, posture, micro-expression, tone, pitch, metre… Every verbal and non-verbal tool physically possible to such a high effectiveness, that the subject is helpless to argue or disobey. As a blogger, you have more tools at your disposal than text formatting, multi-media, your usual level of eloquence, or your standard subject matter. You’ve got more than just your words. You have the spaces between then-the long dashes creating suspense, the ellipsis… Hanging out and doing it’s thing. You’ve got direct address writing (which most of this post is written in), choice of gendered or genderless pronouns… All of these things, once you know how to go beyond vocabulary and work pacing, verbal innuendo, and inflection by way of grammar into your writing… There’s power, just waiting there. When James burst into the room, yelling this and that about being under attack, I didn’t even know what to think. Who was attacking who? Had he been playing paintball again? I mean, seriously. It wasn’t even seven in the morning. I got a real shock when I followed him to the living room. He wasn’t kidding – one of the towers was falling on picture-in-picture, and not ten seconds after my eyes hit the screen, the second plane hit the other tower. What sense do you get from the above paragraph? There’s information there. There’s a hook (the attack) there’s characterization (the remark about paintball), there’s narative (first-person). It’s concise, informative, and to the point. The door shook – great. James’d put a crack into it with the heel of his boot. A muddy crack. Double great. No such luck. One look at the TV left my mouth gaping. Under attack indeed. I forgot about the muddy boot crack in my door. And we’re just comparing two very short pieces, essentially stating the same facts; the narrator’s roommate bursts into his room, waking him/her with what seems like nonsense – but is very quickly proven to be terrifying truth. While the examples I’ve used are semi-fictional, the same thing applies to blogging, or writing of any kind where format restrictions are loose. Journalists with word count limits need to be ultra-direct. Bloggers, authors and other writers benefit from other tools, like using the tonal changes that pacing and directive writing can create. It’s up to you, young pup! Using the power of Voice in writing is more than just what you choose to write about, and the words and phrases you use to express your opinion. Leaving it at phraseology and opinion may be enough for some – but if you really want to master your power of Voice, going beyond and asserting control over your very tone and inflection in writing is the next step along the Golden Path. Being serious about the development and use of your Power of Voice is a good idea. 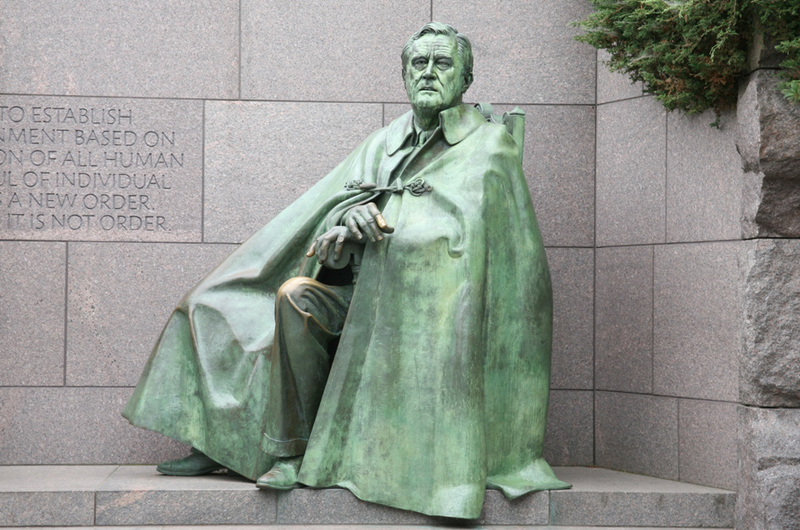 Knowing how to produce tone, inflection… Even a little – necessary hesitation just with words and grammar can make your writing stand out as much more human. Still. It never helps to lose the humour all together. 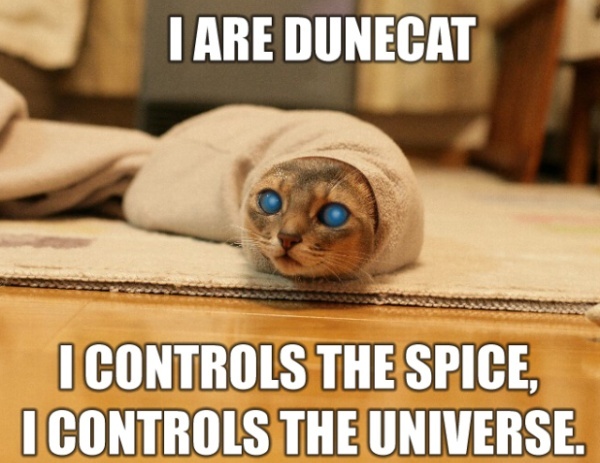 Am I Right, Dunecats? Bottom image: Dunecat. Source; the interwebs.